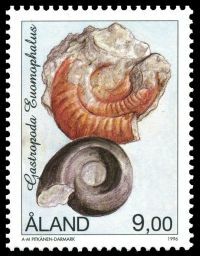 MK 9,00- Gastropode 'Euomophalus' should read 'Euomphalus'. 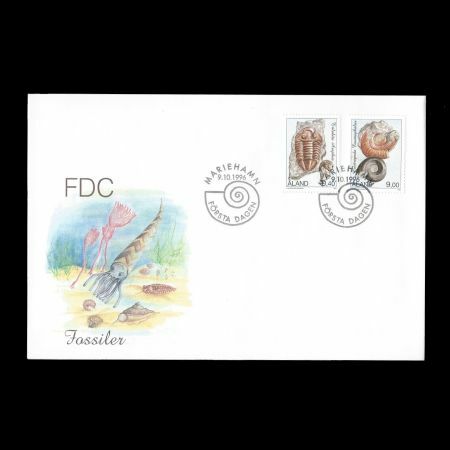 On October 9th, 1996 Post Authority of Aland - Aland Posten - issued a set of 2 definitive stamps, shows some fossils found on the islands. 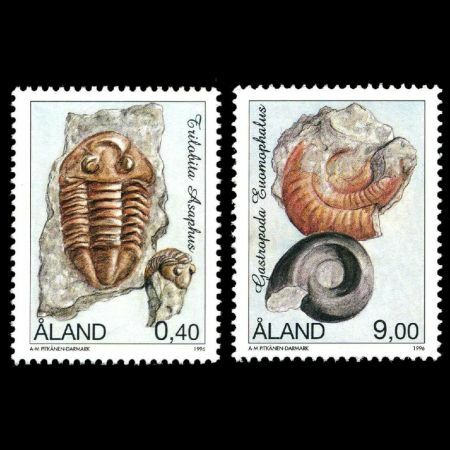 On the Aland islands between Sweden and Finland in the Baltic sea, you can find fossils from the Ordovician period. This is a only place in Finland where you can find fossils. This fossils can be seen in University Museum in Helsinki. East of the main island there is a 9 kilometre diameter crater (Lumparn). This crater was formed by a meteor or comet impact 1200 to 500 milion years ago.It is possible to go to the Finnish Aland Islands by ferry from the Swedish or the Finnish mainland. The best spot to collect fossils is Yttern's on the Jomala island. The finds consist of trilobites and gastropods from the Ordovician period. Some farmers allow to tourist to collect fossils on their fields at Ordovician limestone blocks. 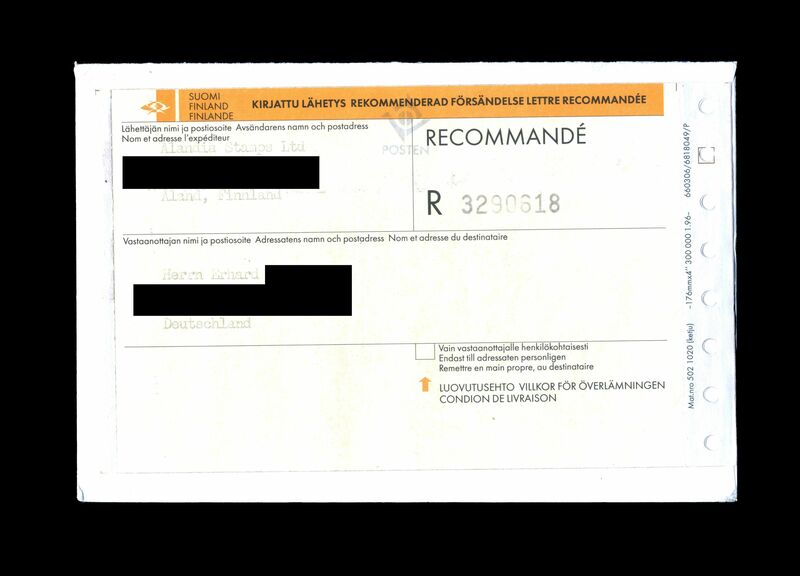 Many farmers, however, don't like collectors and soon it will be also illegal export fossils for Finland. 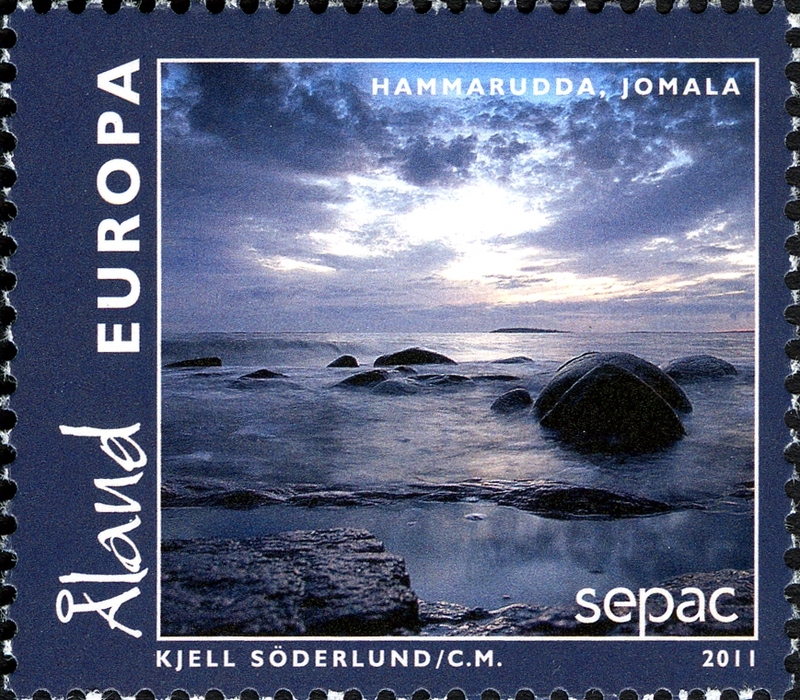 The Aland Islands form an archipelago in the Baltic Sea. They are situated at the entrance to the Gulf of Bothnia and form an autonomous, demilitarised, monolingual Swedish-speaking region of Finland. 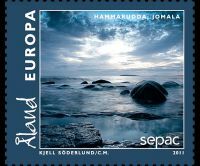 The first Aland stamps were issued 1 March 1984. 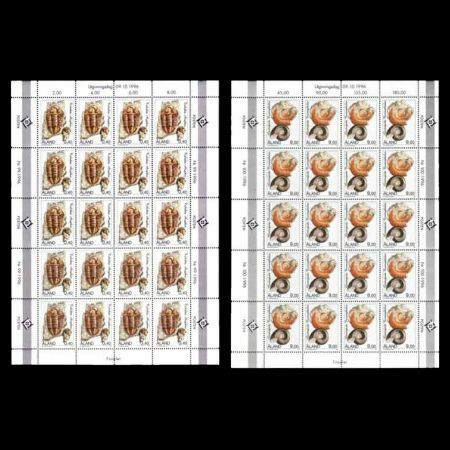 Approximately 15 stamps describing the Aland nature, culture, history, society and autonomy are issued every year. 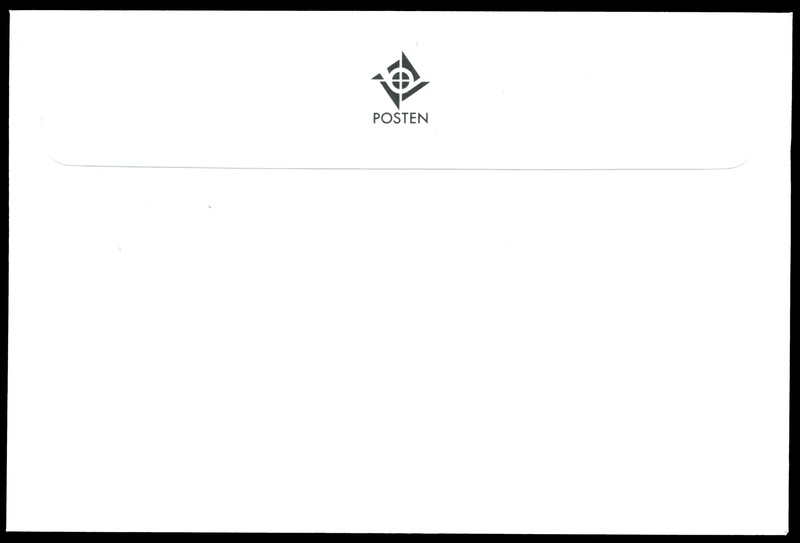 Stamps of Aland can be used both for internal and international post services. 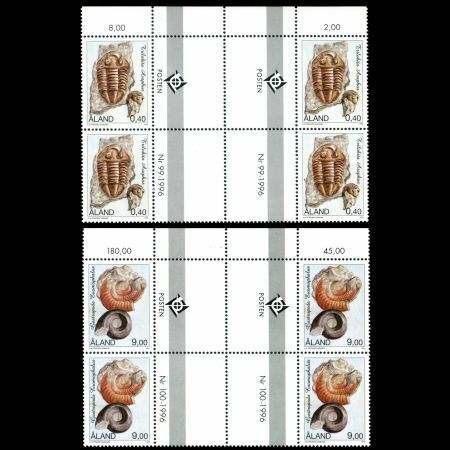 The stamps are depicted two fossils an Gastropoda gastropods (snails and slugs) Euomophalus and a Trilobite (Trilobita asaphus). Asaphus is a genus of Ordovicia Trilobites. Trilobites (meaning "three lobes") are a well-known fossil group of extinct marine arthropods form the class Trilobita. 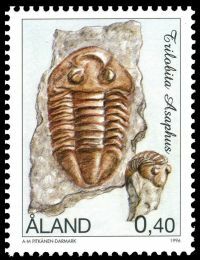 The first appearance of trilobites in the fossil record defines the base of the Atdabanian stage of the Early Cambrian period (521 million years ago), and they flourished throughout the lower Paleozoic era before beginning a drawn-out decline to extinction when, during the Devonian, all trilobite orders except Proetida died out. Trilobites finally disappeared in the mass extinction at the end of the Permian about 250 million years ago. The trilobites were among the most successful of all early animals, roaming the oceans for over 270 million years. Trilobites had many life styles; some moved over the sea-bed as predators, scavengers or filter feeders and some swam, feeding on plankton. The exoskeleton is composed of calcite and calcium phosphate minerals in a protein lattice of chitin that covers the upper surface (dorsal) of the trilobite and curled round the lower edge to produce a small fringe called the "doublure". 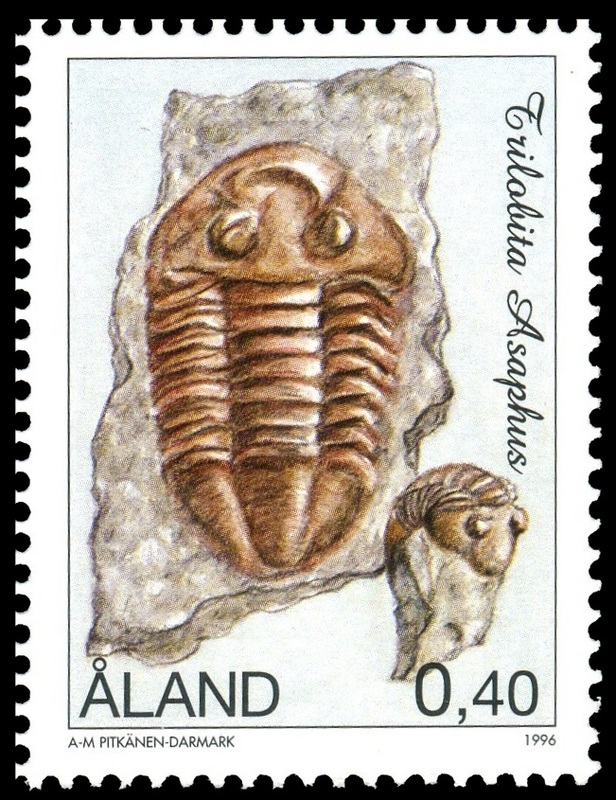 Three distinctive tagmata (sections) are present (can be easiely seen on the stamp): cephalon (head); thorax (body) and pygidium (tail). Euomphalus is a genus of fossil marine gastropods known to have lived from the Silurian to the Middle Permian. The Gastropoda or gastropods, more commonly known as snails and slugs, are a large taxonomic class within the phylum Mollusca. The class Gastropoda includes snails and slugs of all kinds and all sizes from microscopic to large. 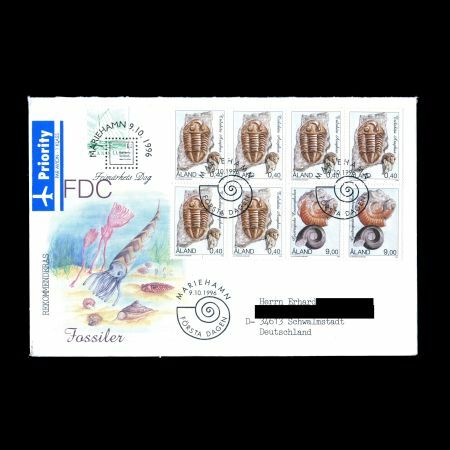 There are many thousands of species of sea snails and sea slugs, as well as freshwater snails, freshwater limpets, land snails and land slugs. 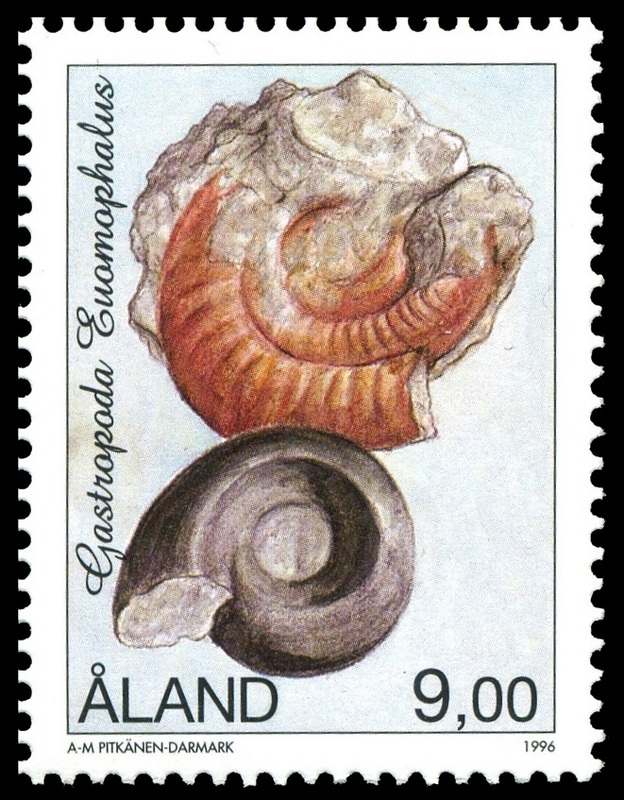 Euomphalus is characterized by a closely coiled shell with a depressed to slightly elevated spire and a channel-bearing angulation (a selenizone) on the upper surface of the whorls. The lower surface of the whorls is rounded to angular.